Home / Cleaning Tips / Cleaning Tips / How to Clean the Dishwasher? It is no secret that the dishwasher is one of the most time saving appliances in the home, but without properly taking time to clean the dish washer it may not be as time saving as you once thought. 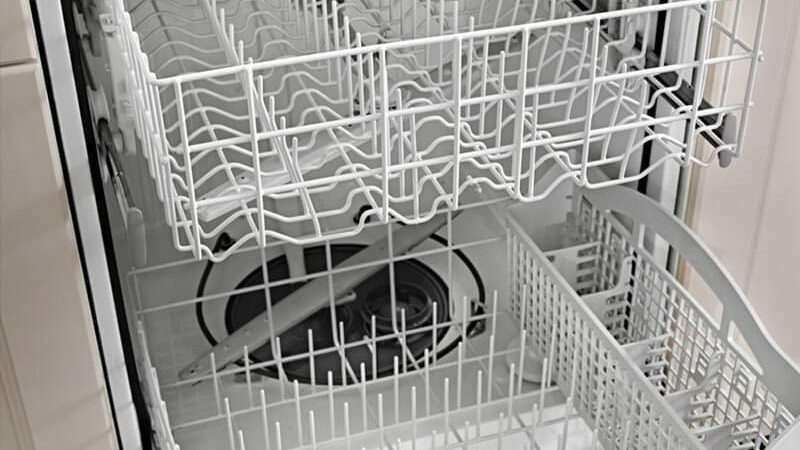 Over time as a result of continuous usage, grease, soap, scum, food dregs build up in the dishwasher. Not only does this provide a breeding habitat for germs and bacteria, but it also reduces the efficiency and effectiveness of the dishwasher. Now, the only way to ensure that the dishwasher retains its efficacy is by cleaning it on a regular. Not only does this leaves the dishwasher cleaner, it also guarantees that your dishwasher is free from becoming a culvert of bacteria, fungi, black yeast and even mold. Gross! We have evaluated the need to ensure your dishwasher is always clean, however washing the entire appliance with soap and water wouldn’t cut it, not only is this going to be tiresome, but also ineffective. Although there are other methods in which we can achieve a more hygienic, sparkling and cleaner dishwasher. Empty the dishwasher and clear the drain: Once all the plates and silverware have been removed from the dishwasher, you will want to carefully remove the bottom washing rack. Remove the bottom dish rack, pull the rack towards you until it slides out of the dishwasher, inspect the dishwasher drain and remove any gung or food residue found there. This would enhance the drainage of the dishwasher and also save you money over time as a clogged drain can damage your dishwasher pump. Remove and wash the filter: The filter is a screen that picks up residue and grease from the inside of the dishwasher. Pull out the bottom rack and remove the filter system, there are several interlocking parts and also a center cylinder that unscrews. Clean the parts individually at the sink use a scrub brush or an old tooth brush to scrub off debris that may have lodged in the filter. Then soak in warm water for some minutes before washing it down with soap and the leave to dry. Apply vinegar in dishwasher: Make sure your dishwasher is empty, pour one cup of white vinegar into a container and place it on the top of your dishwasher. Run the dishwasher through a hot water cycle, as you run the wash, the vinegar will help disinfect your dishwasher, and this will wash away grease and grime and remove musky odors too. Lemon juice wash (optional): Applying vinegar to clean your dish washer would no doubt get rid of the musky odor but it would likely replace it with the smell of vinegar. This isn’t necessary a bad thing or a foul smell and would dispel over time, but if the smell of vinegar bothers you, then you can make use of lemon juice. Place 2 cups of lemon juice in the top rack and run the dishwasher again, this would make your dishwasher smell lemony fresh. Apply baking soda: Baking soda would sop up the musky odor from your dishwasher measure one cup of baking soda and pour it into the bottom basin of your dishwasher. Run a short hot water cycle, this would leave your dishwasher smelling fresh and also have a glimmering and stained free interior. Sanitize and deodorize: Over time discolorations can form throughout the dishwasher’s interior especially in homes with hard water thereby leaving the dishwasher with pungent odors. If your dishwasher is not entirely clean, then you can consider running a cycle with bleach, although running a cycle with bleach is only recommended for dishwashers with stainless steel interior. You should consider purchasing a dish cleaner from the stores and follow the manufacturer’s instructions. Wipe down the inside of the dishwasher: Use a dry cloth or rag to wipe down the inside of your dishwasher appliance until it is dry. Performing these steps occasionally, at least once a month on your dishwasher will prevent food residue from building p and also rid your dishwasher off musky odors. After you may have gone through the following steps listed above, you would have a sweet smelling, sparkling and cleaner looking dishwasher. Always wipe down the dishwasher with a dry rag after use and every once in a while, use vinegar to wipe down the washer’s rack and sprayer arm. Also you can use the dish washer to clean more than dishes. you can use the ‘heated dry’ setting to kill bacteria and mold on your sponges, you can also toss your kids plastic toys – like action figure, legos etc. – in to rid them of germs.